As a result of significant growth in demand over recent years, Emirates Airline is to launch a third daily flight between Moscow and Dubai, commencing on 25th October, the UAE-based airline has announced. Last year the route connecting the Russian capital with Dubai saw a sharp 83 per cent increase in passenger demand, according to data collected by the country’s Transport Clearing House. Emirates has been serving the Russian market for 15 years, having inaugurated the route in July 2003, and already operates twice-daily services to Moscow’s Domodedovo (DME) airport, utilising a combination of Airbus A380s and Boeing 777-300ERs, as well as a daily service to St Petersburg (LED). The new service to DME will be operated by a Boeing 777-300ER in a three-class cabin configuration, with eight private suites in first, 42 seats in business and 310 in economy. The airline insists that this additional service will cater for both leisure and business customers by providing daily links “for international tourism and trade opportunities both inbound and outbound,” says a statement. 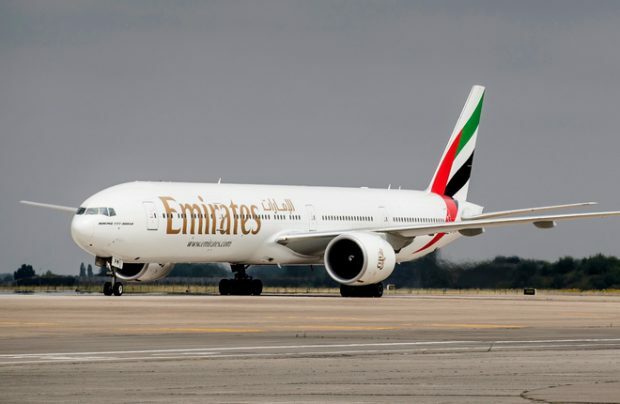 The new Emirates flight from DME is timed to connect with a network of Russian domestic flights operated by S7 Airlines, the Gulf carrier’s codeshare partner in Russia. The new flight also means that Emirates SkyCargo will be able to offer up to 20 tonnes of additional cargo capacity. Freight carried on the route currently includes perishable shipments such as food products, cut flowers and pharmaceuticals, as well as imported car parts and, for Russian exports, aircraft and helicopter spare parts. Emirates’ commitment to Domodedovo is backed by the Moscow airport’s significant investment in improved passenger infrastructure. A new segment of the passenger terminal for international flights opens this month; a multi-level car-park in front of the terminal, adding 1,500 parking spaces, has just been put into operation; and the new runway construction is due to be completed within a few months. On 1st July this year Emirates will mark 15 years of operations to DME.